Wait, haven't you seen this shirt before? Well, yes and no. 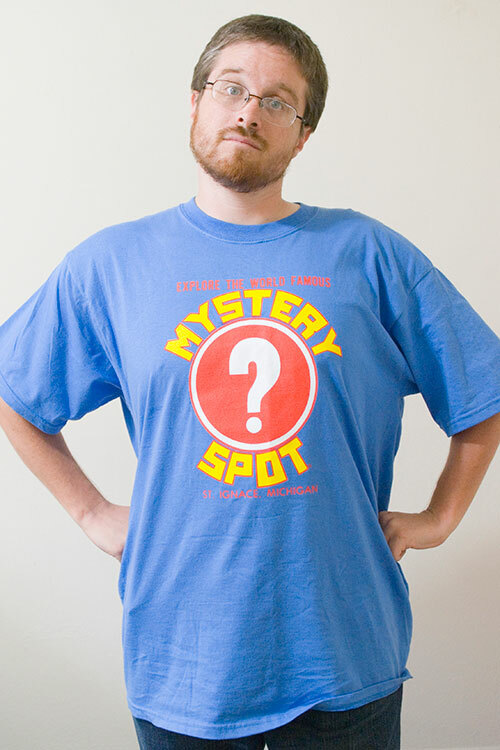 When I learned that my co-worker John as dropping off his kids up on the UP for a few weeks with the grandparents, I asked him to pick up a replacement Mystery Spot t-shirt for me to replace my old one, which was getting kind of ratty, and he was kind enough to do so. Because it beats the alternative, which is driving up to Michigan myself.